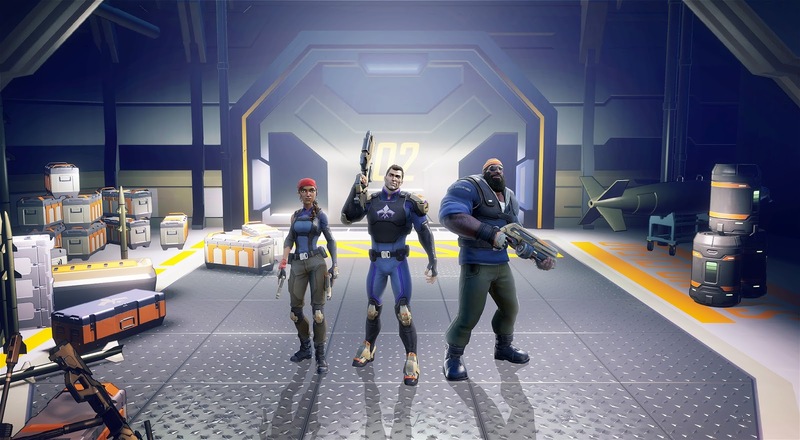 Volition is back, but not with Saint's Row, but instead a spin off called Agents of Mayhem! Set in the same universe, what can we actually expect from it? 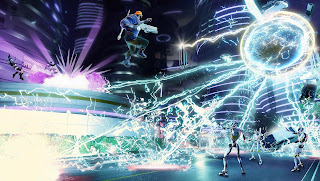 Agents of Mayhem takes place in a futuristic re imagining of Seoul-South Korea which is used as the game's open world. The main narrative revolves around the organisation known as Mayhem who's leader is Persephone Brimstone, someone you may remember from Gat out of Hell. Mayhem's main goal? The annihilation of the super villain organisation known as Legion in order to stop their plan of destroying the world's nations. The story and characters are expanded by in game and animated custscenes which I thought was really cool, but also more subtly with conversations between agents themselves. In total there are twelve agents to play around with, however to begin with only three are available from the get go, with the rest being unlockable as you play through the game. Each one is different and have their own play-style and abilities. For instance, Hardtack uses a shotgun as his primary weapon, while Hollywood utilizes his assault rifle. As players deal damage to enemies with their weapons, players accumulate points that will fill up a bar. When the bar is filled, players can make use of the agents' Mayhem abilities, which are superpower moves that can be really useful when in a tight spot. Different agents have different mayhem abilities. For example, Fortune can use a drone to stun enemies, while Hollywood can trigger massive explosions around him. Players can switch between the three agents they have selected freely and experiment with different combinations of agents to see which trio of characters suit their playstyle the most. 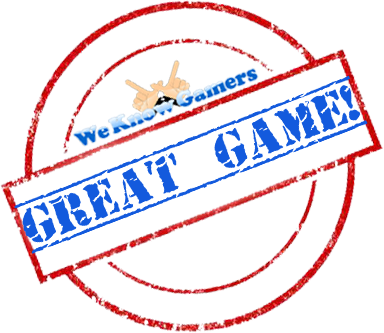 Agents themselves can be levelled up by simply playing through the game and this of course comes with a few benefits that can power you up for the more challenging tasks to come. These upgrades come in the form of better weapons, perks or abilities for you to use. Of course some are a lot more useful then others, however it is up to you to figure out your own play style that works for you. Other than the main campaign, other missions vary from delivering cars to taking over certain sectors that were in control by Legion. You can also get into extra story missions regarding certain agents if you wish to dive deeper into their background and narrative. Agents themselves are pretty varied and have different personalities and backgrounds which make seeing their paths into Mayhem a complete Joy. 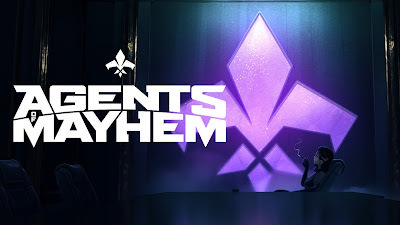 While Agents of Mayhem can definitely be fun to play, I believe the main issue is that it can get so repetitive at the same time. When you are 5 hours in and feel like you've already seen it all, that generally isn't a good sign. It has indeed accepted the spirit of Saints Row, but seems to have lost what made that series so great. 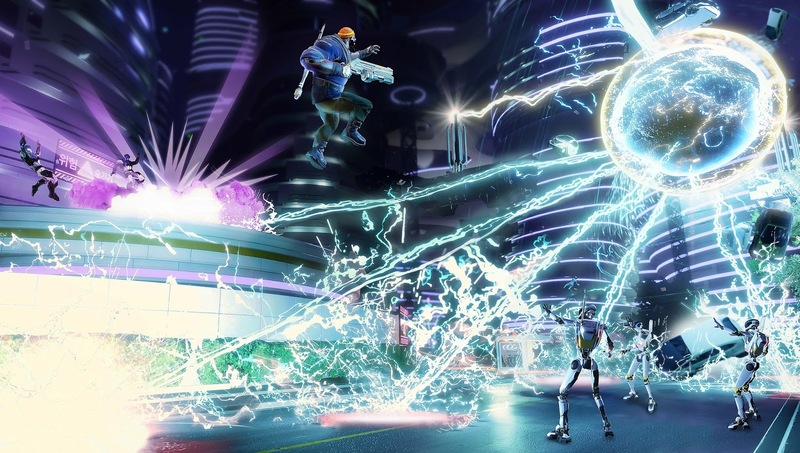 Overall if you are looking to just shoot as many Legion followers and cause as much destruction as you can, then Agents of Mayhem is definitely for you. Yes I did lose interest after a certain while, but as a game where you can just let loose, its actually pretty fun.